Everything you need to know about Europcar car rental New Zealand. Europcar car rental is one of the world's leading car rental companies, operating from all major airports and capital cities as well as many regional and remote locations. Aside from the convenience of so many Europcar Rental Car Vehicle - VroomVroomVroom Europcar car hire depots, which allow you to tailor your car rental plans to your specific needs, Europcar has a wide choice of vehicles on offer. Whether your needs are for business or leisure, you're sure to find what you require in their fleet of Europcar passenger and luxury vehicles, Europcar commercial, Europcar 4WD and Europcar minibuses. They have the rental vehicles and options to suit your every need. To make sure you're getting the best deal possible, visit VroomVroomVroom to compare prices and deals with the rest of New Zealand's most popular rental car companies. It pays to make sure you've got the best deal with the right options for your car rental experience, so it would be crazy if you didn't take advantage of the chance to shop around in the one convenient place. Best of all, you can search all the rental car deals by location. Europcar is a car rental brand name you can trust (and we'd know). You can get a great deal on a rental car by booking through VroomVroomVroom. 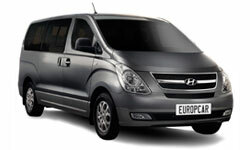 We have an official agreement with Europcar, who provide great new deals on a daily basis. Visit VroomVroomVroom now to see what unbelievable specials are on offer right now.